Sit back and relax on warm reindeer skins in our comfortable sled, driven by one of our knowledgeable guides! 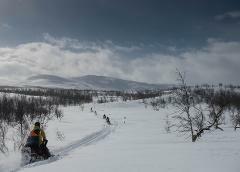 Explore the wonderful winter landscape in Abisko National Park and drive on the world famous Kungsleden/King’s trail! 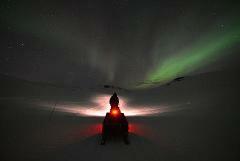 This tour will take you deeper into the wonderful winter landscape of Abisko National Park and beyond!